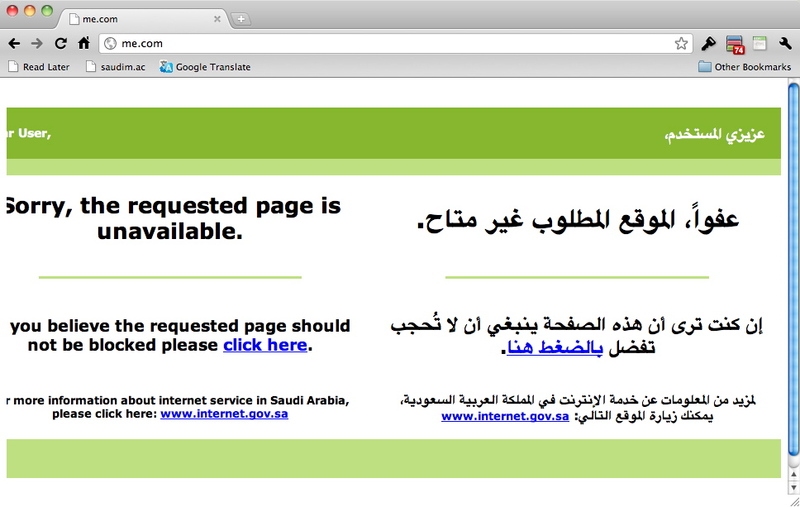 Update: looks like me.com redirects to https by default now, so MobileMe is no longer blocked in Saudi Arabia!. 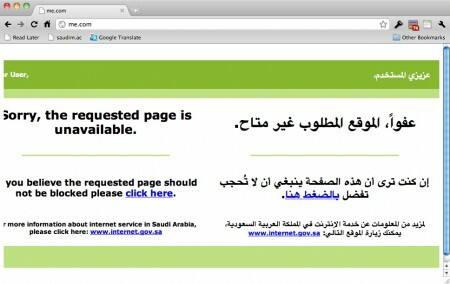 Apple’s MobileMe homepage me.com was blocked today in Saudi Arabia. Customers in country could not access their MobileMe email, contacts, find my iPhone services and more. Thanks Yousuf. The CITC did not provide a reason for this block. Which are both blocked. So you need to access the HTTPS mobile versions of these pages: iPad and iPhone. http://www.me.com/mail is unblocked as it redirects to https://www.me.com/mail. Apple iPhone 4 is the fourth-generation of iphone and comes with a new slimmer design and front-facing camera capable of video calling. apple also updated the display with a high-resolution screen that measures 960 x 640 pixels. It also Â features a 5 megapixel camera with an LED flash and HD video recording. The front Â facing camera uses an application called face time to make video calls over wifi.